The Best Homeschool blogs from thousands of top Education bloggers in our index using search and social metrics. Data will be refreshed once a week. Also check out Homeschool Podcasts and Homeschool Youtube Channels. 2.6 I Can Teach My Child! Homeschool newsletter is a comprehensive summary of the day's most important blog posts and news articles from the best Homeschool websites on the web, and delivered to your email inbox each morning. To subscribe, simply provide us with your email address. About Blog On this blog, you’ll find inspiration and encouragement that empowers you to teach your children with confidence. Simple Homeschool helps restore the joy of learning to our homes—and at the same time, makes life (& education!) just a little less complex. The writers of this blog come from a variety of backgrounds and experience, but they have one common goal, they want the best for their children. Facebook fans 156,508. Twitter followers 6,625. About Blog Hip Homeschool Moms is a Community for Families Living the Home Education Lifestyle. This blog is for all those interested in homeschooling. Their goal is to connect homeschool moms together for encouragement, information, friendship & fun. Facebook fans 131,282. Twitter followers 29,160. About Blog The Homeschool subreddit provides homeschool resources for parents homeschooling children. Its sole reason for existing is to help each other homeschool children. Facebook fans 1,214,090. Twitter followers 582,036. United States About Blog Confessions of a Homeschooler is a homeschool mom blog with free printables, curriculum, preschool, and more. Facebook fans 74,497. Twitter followers 9,265. USA About Blog Homeschool Creations is a homeschool blog featuring free homeschool printables, information on how to homeschool, a yearly homeschool planner, homeschool curriculum, and more! Facebook fans 65,173. Twitter followers 9,305. 6. I Can Teach My Child! Worldwide! About Blog I Can Teach My Child! features activities and resources for parents of young children. This site is dedicated to parents--mother and fathers, stay-at-home parents and working parents. Facebook fans 67,781. Twitter followers 2,999. About Blog Real Life at Home features helpful tips, practical advice, printable resources, and encouragement on family life, faith, homeschooling, and home management. Facebook fans 39,966. Twitter followers 12,411. About Blog Read 1Plus1Plus1Equals1 blog to find many free printables for use in your classroom or homeschool, as well as much, much more. Facebook fans 45,841. Twitter followers 6,430. U.S.A. About Blog The Old Schoolhouse Magazine is here for encouragement and inspiration in homeschooling. Find all your homeschool resource here from the Trade Magazine for Homeschool Families in Print, Online and on Mobile Devices. Facebook fans 189,831. Twitter followers 7,533. GA About Blog Weird Unsocialized Homeschoolers - Honest. Quirky. Real. Practical tips, candid reviews, and stereotype-smashing humor for homeschooling families. Facebook fans 36,392. Twitter followers 5,562. About Blog The Unlikely Homeschool is an online, faith-based site full of ideas, organizational tools, and printables for the busy homeschooling mom. Facebook fans 35,317. Twitter followers 1,713. USA About Blog Alpha Omega Publications helps you discover homeschooling success with time-tested homeschool curriculum. Its mission is to educate, inspire, and change lives by offering Christ-centered homeschool curriculum that promotes quality academics along with a Christian worldview. Facebook fans 50,912. Twitter followers 11,153. Purcellville, VA About Blog Homeschooling Now blog provides encouragement for the next generation of homeschoolers. The Home School Legal Defense Assn. defends and advances the right of parents to direct the education of their children and to protect family freedoms. Facebook fans 135,925. Twitter followers 9,831. San Diego, California About Blog On LivingMontessoriNow, Deb Chitwood writes about using Montessori principles and methods in Montessori schools, traditional classrooms, homeschools, parenting, and life in general. Facebook fans 207,301. Twitter followers 15,351. Studio City, CA About Blog Visit Art Projects for Kids blog to see classroom-tested lesson plans. Its mission is to promote creative living for children and adults. Facebook fans 14,538. Twitter followers 1,144. About Blog TheHomeSchoolMom offers encouragement, educational resources, freebies, and more for homeschool moms. Facebook fans 27,256. Twitter followers 2,439. About Blog Byrdseed is all about better understanding our gifted learners. Stick around and you’ll learn how to differentiate lessons, teach across the content areas, and appreciate gifted kids’ unique social and emotional needs. Facebook fans 5,201. Twitter followers 2. Florida About Blog The Educators' Spin On It is a resource for parents and teachers of young children that helps foster a love of learning at an early age. It shares activities for kids ages 0-8 with ideas for siblings too. Facebook fans 25,107. Twitter followers 7,905.
east coast, USA About Blog Homeschool Den is a homeschool blog that shares hands-on activities, printables, curriculum packets and resources like free Homeschool Science, history checklists and more. Facebook fans 12,615. Twitter followers 1,711. Dallas, TX About Blog If you find yourself playing referee more than doting educator, then you have found your homeschool home. Here you will find homeschooling tips for the rest of us. Also, STEM and hands-on activities for secular homeschoolers. Facebook fans 11,391. Twitter followers 2,311. About Blog Monique is a homeschooling mom blogger providing homeschooling encouragement, tips, activities, and parenting goodness. Facebook fans 8,386. Twitter followers 23,123. North Carolina About Blog On the Life of a Homeschool Mom blog, Heather Bowen has been providing hope, encouragement, resources and sanity-savers to help homeschool moms balance it all. Facebook fans 41,883. Twitter followers 6,291. About Blog Inspiration Laboratories encourages children's learning through creativity and play. Blog posts are related to science, reading, art, play ideas, and more. Facebook fans 31,227. Twitter followers 2,230. About Blog Tina's Dynamic Homeschool Plus blog, Tina shares the knowledge she's gained through many years of homeschooling. Facebook fans 7,111. Twitter followers 6,336. Catasauqua, PA USA About Blog Homeschooling Help are a passionate community of parents, students and educators who want to connect, share and discuss homeschooling topics, educational insights and resources. Facebook fans 5,233. Twitter followers 1,077. About Blog The Homeschool Scientist exists to equip and encourage homeschool parents by taking the fear out of and putting the fun into science education. Facebook fans 25,280. Twitter followers 4,642. About Blog Hi! My name is Jae and this is my blog about the learning adventure of my two kids. We do a lot of Montessori and Montessori-inspired activities, printables , hands-on learning, nature studies and outdoor activities. Facebook fans 23,060. Twitter followers 101. United Kingdom About Blog Rahmah Muslim Homeschool is dedicated to Muslim parents who homeschool or are considering to homeschool their children. Its mission is to educate children according to the Qur’an and the Sunnah. Facebook fans 3,302. Twitter followers n/a. Fort Wayne, IN About Blog Kingdom First Homeschool is a Homeschool Mom Blog with, Free Curriculum, Free Printables, Preschool, Motherhood Encouragement and More. Facebook fans 2,775. Twitter followers 5,350. About Blog Practical Pages features practical tips, projects, plans, pages & art ideas for homeschooling. The author loves to share her notebook and lapbook pages to inspire & encourage fellow homeschoolers. Facebook fans 784. Twitter followers n/a. About Blog Our Journey Westward exists to encourage parents to homeschool creatively, abundantly and joyfully. Through practical blog posts, creative curriculum, speaking, hands-on workshops, and phone consultations, Cindy West gives you the resources you need to thrive in homeschooling. Facebook fans 5,626. Twitter followers 4,556. Texas About Blog Misty Leask is dedicated to sharing products, ideas and supporting year round homeschooling with an American touch to it whether veteran year round homeschoolers or homeschoolers researching year round homeschooling, YRH is designed to provide content, support and products for all homeschool families. Facebook fans 6,145. Twitter followers 2,181.
metro Atlanta, GA About Blog Homegrown Learners is an education website dedicated to homeschooling, learning with LEGOS, and classical education. Facebook fans 37,897. Twitter followers 7,958. Butler, PA About Blog Rock Your Homeschool is owned by Amy Milcic, a former mental health therapist turned homeschool soccer mom to 5 boys. Amy's passion is to help homeschoolers find their groove by unlocking their unique potential. Get encouragement, support, & resources to help you on your homeschool (& life) journey. Let's fill your cup & discover how to rock your homeschool. Facebook fans 4,691. Twitter followers 2,644. Canada About Blog The Canadian Homeschooler blog has been sharing and providing Canadian resources to homeschooling families. It provides how-to's, the curriculum ideas, and other resources homeschooler's need. Facebook fans 4,982. Twitter followers 1,385. About Blog Colleen Kessler, on her blog, Raising Lifelong Learners, has been inspiring families to create, discover, and grow together. Facebook fans 24,691. Twitter followers 11,066. About Blog The Curriculum Choice is a group of home educators from around the blogosphere joining together under one passion. They homeschool and like to talk about it. They have united together under one mission, to spread the word about their favorite curricula that they use for their own families and educate others about their homeschool methods. Facebook fans 8,144. Twitter followers 3,319. About Blog A Muslim Homeschool blog started as the documentation of personal experiences from a home educator 3 years ago. It evolved into a means to share educational resources and articles relating to the Muslim child, education and family life. Facebook fans 16,490. Twitter followers n/a. New England About Blog Cait is a school psychologist, mom to three amazing children and an unexpected homeschooler. She writes about her family's journey at My Little Poppies. Facebook fans 22,818. Twitter followers 19. About Blog The Homeschool Village is all about homeschool moms creating a place online for homeschool families to connect & encourage one another. Facebook fans 18,199. Twitter followers 24,640. About Blog Helping teaching mommies one resource at a time. Facebook fans 9,577. Twitter followers 1,110. About Blog Blog, She Wrote - Embracing the Independent & Authentic Nature of Homeschooling. Heather Woodie is a homeschooling mom to her fantastic four– three in high school and one in middle school. Facebook fans 2,911. Twitter followers 1,357. About Blog Hi! I’m Chantel, wife, mother, jill-of-all-trades and founder of this site. I’m a teacher turned homeschooling mother. I started researching all things homeschooling about four years before we even started homeschooling and this site was born out of my desire to give back some of what I’ve learned and share the journey along the way. Facebook fans 315. Twitter followers n/a. About Blog HomeschoolFacts offers comprehensive information about homeschooling, including state laws, homeschool friendly colleges and homeschool support groups. Facebook fans 40,504. Twitter followers 23. About Blog Written as a home school guide, this site desires to help the Christian homeschooling family create a design of education that reflects their unique style and personal goals. Facebook fans 13,740. Twitter followers 272. About Blog The Homeschool Post is a group of blogging homeschool moms that aim to encourage, inspire and connect the homeschool community - and give them the pat on the back that they deserve. Facebook fans 7,779. Twitter followers 12,281. Michigan About Blog Michelle has been a homeschool mom for 13 years to her two sons. She writes regularly on her blog to encourage other homeschooling families in their roles as parents and teachers as well as to share tips to help parents inspire and enjoy their sons. Facebook fans 7,519. Twitter followers 10,806. About Blog I am a classical christian homeschooling mom eager to share with you all I have learned in the past 8 years of homeschooling and homemaking. My mission is To be a transparent follower of Jesus Christ and in doing so I pray my life reflects His grace and love. Facebook fans 255. Twitter followers 1,456. Detroit, MI About Blog Modern Homeschool Family is an online magazine providing encouragement and help for today's homeschooling families. Facebook fans 5,819. Twitter followers 11,810. Pacific Northwest About Blog Sara Dennis aims to give helpful and practical advice for simplifying and organizing readers homeschooling activities. She loves to chat over coffee about organizing and simplifying the homeschool to give kids an excellent classical education at home. Facebook fans 2,274. Twitter followers 3,929. About Blog TJ Homeschooling (the website formerly known as Talibiddeen Jr) has been providing homeschooling, home, family & Islamic resources since 2002. The author of this blog is a homeschooling Mom/Stepmom of 10. Facebook fans 3,145. Twitter followers 1,152. About Blog I am a wife, mother, teacher, and writer with a passion for encouraging and inspiring others. I am tired of feeling like homeschool must look like a traditional classroom, and as frustrated as my own children with "busy work". Our goals are simple: teach our children to Love the Lord,to know their basic math facts inside out, to fall in love with literature, and to become LIFELONG Learners. Facebook fans 762. Twitter followers 256. About Blog The Filipino Homeschooler is all about homeschooling in the Philippines. This is our journey as we homeschool our son, Gab. Facebook fans 3,174. Twitter followers n/a. About Blog Whether you are looking for a great deal, a help for homeschooling, a great tip on saving money, or a way to build on your child's education you don't need to look any further, Meagan is here to bring you homeschool encouragement and money saving tips to make your homeschool journey easier. Facebook fans 1,873. Twitter followers 1,261. Seattle, WA About Blog Lee Binz's mission is to help parents homeschool high school children. On her blog she provides tips to homeschooling moms. Facebook fans 30,956. Twitter followers 6,597. About Blog Inspiring insights into the homeschooling lifestyle. Facebook fans 1,470. Twitter followers n/a. U.K About Blog Follow this blog for homeschooling resources, product and curriculum reviews, advice about home-education and day-in-the-life videos. Facebook fans 13,626. Twitter followers n/a. About Blog Homeschooling Today magazine is dedicated to the encouragement of families and parents who are educating at home. Its goal is to encourage a love for learning among homeschoolers. Facebook fans 9,856. Twitter followers 699. About Blog Helping crazy busy parents homeschool Grade 7 , stay connected to their family, reduce stress and save time and money by providing informative, inspiring and encouraging information. Facebook fans 1,125. Twitter followers 2,105. About Blog Finding the Best Homeschool Curriculum for Your Family Can Be Confusing. It Just Got Easier. The goal of this blog is helping families make the right homeschool curriculum choices for their families. Facebook fans 3,278. Twitter followers 13,912. About Blog A homeschool themed blog where Lauren shares her homeschooling experience with her two boys. Facebook fans 1,442. Twitter followers 148. Hebron, KY About Blog On the Homeschoolin' Mama blog, join Meg Hykes as she shares her journey of home educating her kiddos. Facebook fans 7,297. Twitter followers 2,557. About Blog Home | School | Life is the smart, fun secular homeschool magazine for families who learn together. Its blog provides resources for homeschooling families. Facebook fans 4,172. Twitter followers 916. About Blog This blog tells the story of Adriana Zoder's homeschooling journey while sharing tips, ideas and information relating to homeschooling in general. She also reviews curriculum and educational toys, and experiments with different schedules and approaches. Facebook fans 461. Twitter followers 758. 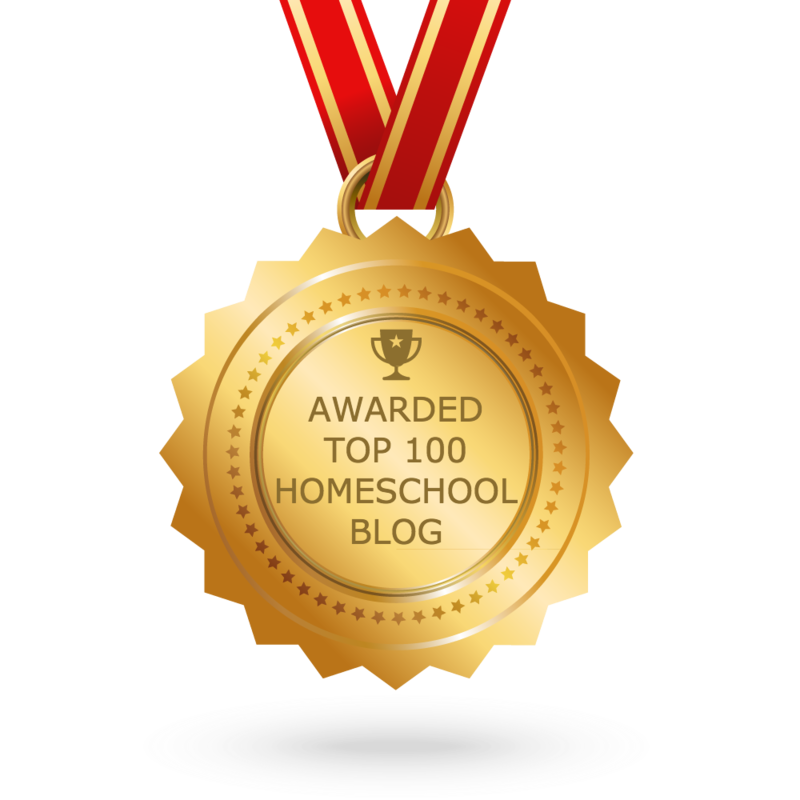 About Blog Homeschool411 is the #1 Site for Homeschool Information. It provides everything the new or vetaran homeschooler needs for selecting their curriculum. Youngstown, OH About Blog A Mom sharing thoughts about homeschooling, autism, travel, Disney. Movie Reviews, homeschooling with movies, teaching with play and travel. Facebook fans 2,339. Twitter followers 14,462. Louisiana, USA About Blog Caramel and Chocolate Homeschoolers, LLC offers homeschool consulting, standardized testing, tutoring, test preparation, and private homeschooling services to families in the state of Louisiana. The mission of Caramel and Chocolate Homeschoolers, LLC is to assist homeschooling families with having successful homeschooling experiences. Facebook fans 148. Twitter followers 241. About Blog Work And Play, Day By Day is an online journal chronicling the Catholic, Montessori inspired homeschooling, and infant loss remembrance journey of one family. Facebook fans 760. Twitter followers 163. About Blog Encouragement and resources for homeschool families with ideas for changing our educational mindset. Facebook fans 349. Twitter followers 585. Missouri About Blog Join the discussion with Christian psychologist, author, and homeschooling mom of six, Dr. Melanie Wilson and fellow homeschoolers who share articles, curriculum reviews, and tips for saner homeschooling and living. Facebook fans 9,406. Twitter followers 3,536. About Blog Tristan is a wife of 15 years to one good man, mother to 9 sweet children. The family homeschools, prays, plays, and grows together one busy day at a time. About Blog Dedicated to sharing all things homeschooling and creating a community for homeschoolers. Facebook fans 318. Twitter followers n/a. About Blog On this blog, the authors explore why homeschooling can be a better option for children and families than a traditional classroom setting. They also explore homeschooling issues in general, educational thoughts, family issues, and some other random stuff. About Blog Charity, on the Homeschool Evangelist blog has been giving readers the confidence to teach their own kids. She is currently homeschooling her 7 and 5-year-olds. About Blog A source of encouragement for women who are not only mothers, but homeschooling mothers. Knysna, South Africa About Blog Personal blog about the journey of homeschooling my 6 year old ASD twin boys. Facebook fans 481. Twitter followers 200. About Blog Bible Based Homeschooling is a place to share resources and ideas on how to provide a biblical education at home-budget friendly. It consists of articles, resources, and a place for readers to share their tips. Facebook fans 19,311. Twitter followers 565. About Blog An education website with hundreds of free printables for alphabet activities, teaching reading, math games, and more! Facebook fans 75,131. Twitter followers 2,842. San Francisco, CA About Blog Educents is the best place to discover new ways to make learning fun. Discover innovative products and ideas created by a community of experts in education. In this blog, discover new ways to make learning fun and plenty of articles on homeschooling for your kid. Facebook fans 210,873. Twitter followers 8,459. Owosso, Michigan About Blog believe you can honor God in all areas of your family’s life – nurturing their bodies, cultivating their minds, and inspiring their souls. Join the Intoxicated on Life community to receive Biblically grounded encouragement, fused with solid research, and practical experience. The Homeschooling Moms & Dads category of their blog provides homeschooling tips and advice. Facebook fans 17,482. Twitter followers 17,642. Merritt Island FL About Blog Heart of Wisdom encourages homeschoolers to develop a intimate relationship with God and make Bible the focus of the homeschool day. Facebook fans 6,732. Twitter followers 8,080. About Blog Spell Outloud loves to share ideas and printables with moms of young children and other home educators. Some of the topics that you will find on the site are, toddler/preschool activities and crafts, homeschool projects and curriculum reviews and free educational printables. Facebook fans 7,063. Twitter followers 43. About Blog Homeschool Launch provides homeschool resources and helps for any stage of your homeschooling journey. Its goal is to equip and encourage homeschool families to thrive in their homeschool journeys and power through the transitions. On the blog you will find practical advice and resources from seasoned homeschool parents who have been though it all. Facebook fans 56,694. Twitter followers 238. FreelyHomeschool.com About Blog At Freely Homeschool, Lori proves that there is no obstacle great enough to keep a child from a high quality, creative education. She believes that, we are all homeschooling to a degree. Facebook fans 8,746. Twitter followers 2,253. About Blog Lit Mama is all about homeschooling with a fire for literature. KT Brison is a happily married, secular homeschooling mama of three boys, one of whom is about to earn his degree in elementary education. Facebook fans 557. Twitter followers 1,205. West Virginia About Blog Chris and Heather are homeschooling parents of 5 wonderful kids! They are dedicated to helping special needs families succeed. Facebook fans 14,545. Twitter followers 3,385.
www.amazingmess.com About Blog Homeschool mom shares homeschool freebies, homeschooling discounts, homeschool tips, learning activities, and homeschooling encouragement. Facebook fans 5,526. Twitter followers 4,561. About Blog The author of Highhill Homeschool is an American homeschooling mother of three living in Germany and raising one child with Leukemia. She shares her homeschooling experiences on her blog. Facebook fans 578. Twitter followers 62. About Blog Let's Learn With Style is fun page and blog where the author, Deanna shares her adventures in homeschooling and family life. Facebook fans 1,327. Twitter followers 1,859. About Blog Homeschooling Almanac provides everything you need to know about homeschooling. Why to homeschool, Where to homeschool, How to homeschool. A fabulous parenting resource. Facebook fans 279. Twitter followers 3. Tennessee, USA About Blog Nourishing My Scholar is all about a homeschooling/unschooling mom blogging about the adventures of her children. Facebook fans 3,334. Twitter followers 4,354. About Blog Hey everyone! Go to www.gooftroopmama.com to see our take on preschool homeschool life. About Blog Hands-On Homeschool Resources helps homeschool parents find encouragement, teaching resources, and homeschool curriculum to make learning a family adventure. Facebook fans 142. Twitter followers 1. About Blog Follow HomeschoolStory blog to join a great group of other homeschoolers and share what you know. Facebook fans 1,505. Twitter followers n/a. San Antonio, TX About Blog Are you new to homeschooling? New to San Antonio? Looking for where to start? You are in the right place! This is the best place for San Antonio homeschool information. It has a comprehensive listing of homeschooling resources in the San Antonio area. Facebook fans 807. Twitter followers 13. About Blog The original blog launched in August 2011 under the name Living Life Intentionally. In March 2013 the blog's name changed to 123Homeschool4Me to better identify the blogs niche - homeschooling idea and free printables for preschool, kindergarten, and k12. Facebook fans 69,345. Twitter followers 4,853. About - I am a mother of two, in the UK. I have been homeschooling (actually, we 'home educate' over here!!!) for about eight years now - and I love it! About - I run a monthly linky with a few other home educating bloggers called This Homeschooling Life and I think for anyone thinking of home educating it’s a great way to way to learn about just how differently each family does things. About - Rahmah Muslim Homeschool is dedicated to Muslim parents who homeschool or are considering to homeschool their children. Its mission is to educate children according to the Qur’an and the Sunnah. CONGRATULATIONS to every blogger that has made this Top Homeschool blogs list! This is the most comprehensive list of best Homeschool blogs on the internet and I’m honoured to have you as part of this! I personally give you a high-five and want to thank you for your contribution to this world.